Pompeo said 21 Saudis would have visas revoked or be deemed ineligible. 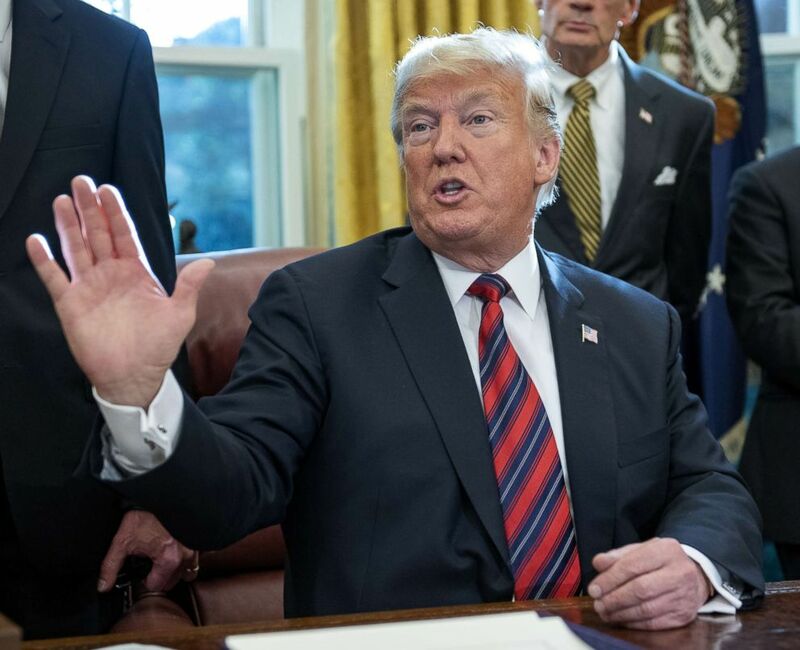 President Donald Trump on Tuesday bashed the Saudi operation that ended with Washington Post columnist Jamal Khashoggi killed "one of the worst cover-ups" in some of his strongest condemnation yet of what took place in the Saudi consulate in Istanbul, Turkey. The president elaborated on his comments Tuesday evening at a briefing with military leaders, saying, "I would say it was a total fiasco, from day one, from the thought, whoever put it in their minds, that was not a good thought." (Getty Images) President Donald Trump speaks to the press pool after signing S.3021, America's Water Infrastructure Act of 2018, in the Oval Office of the White House, Oct. 23, 2018. Three weeks after the killing, the U.S. is also taking its first steps against Saudi officials, with Secretary of State Mike Pompeo announcing 21 Saudi "suspects" would have their U.S. visas revoked or be deemed ineligible for a U.S. visa. "They had a very bad original concept. It was carried out poorly. And the cover-up was one of the worst in the history of cover-ups. It's very simple. Bad deal. Should have never been thought of. Somebody really messed up," Trump said Tuesday. But he again declined to lay blame at the feet of Saudi Crown Prince Mohammed bin Salman or his father, King Salman, saying he'd spoken to both of them and they denied any involvement. The president said the crown prince "strongly said he had nothing to do with it. It was a lower level," Trump said the prince told him. He added that he wants to see the facts of a U.S. investigation first before making any judgment. To that end, CIA Director Gina Haspel was in Turkey Tuesday and due back to the U.S. either Tuesday night or Wednesday, according to the president, who added he expects to receive a report on findings "soon." Still, Pompeo and Trump took a stronger tone than before as the administration unveiled its first penalties on the Saudis. So far, Saudi Arabia announced it has arrested 18 individuals for their involvement in the plot. It was unclear who the 21 Saudis were and whether they include those 18 Saudis, with the State Department declining to name them because of confidentiality laws. But Pompeo vowed more action once the U.S. investigation is complete. "These penalties will not be the last word on this matter from the United States. We will continue to explore additional measures to hold those responsible accountable," Pompeo said, including possible sanctions against Saudi officials. "We're learning the facts. And as facts unfold, as we continue to develop our understanding of the individuals that were responsible for this, who not only executed it but led and were involved and were connected to it, the world should know that we intend to hold those individuals accountable when we develop that fact set," Pompeo said. Days after Congress also triggered an executive branch investigation into whether Saudi Arabia should face Global Magnitsky sanctions for human rights violations, Pompeo added that the State Department and Treasury Department are reviewing that issue, too. Khashoggi, who resided in Virginia and was a vocal critic of the crown prince's rule, entered the consulate on October 2 and was never seen again. 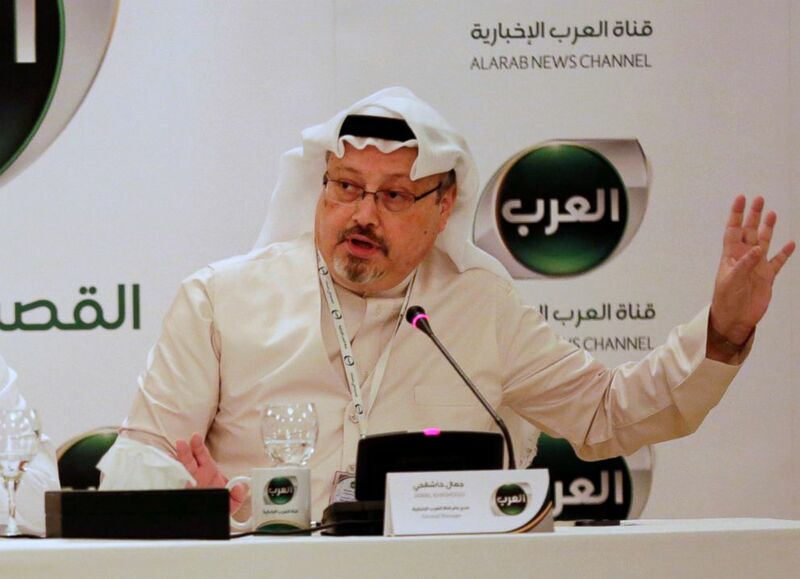 For days, the Saudis claimed he left the building unharmed, but after mounting global pressure and consistent leaks from Turkish officials from their investigation, the Saudis admitted culpability Friday for his death, blaming a rogue operation that ended in a fistfight. Despite those changes in the Saudis' story, the Trump administration has consistently defended the U.S. relationship with Saudi Arabia as a "strong partnership" based on "shared strategic interests," as Pompeo said. The U.S. can achieve the "twin imperatives of protecting American and holding accountable those responsible for the killing of Mister Khashoggi," he added.